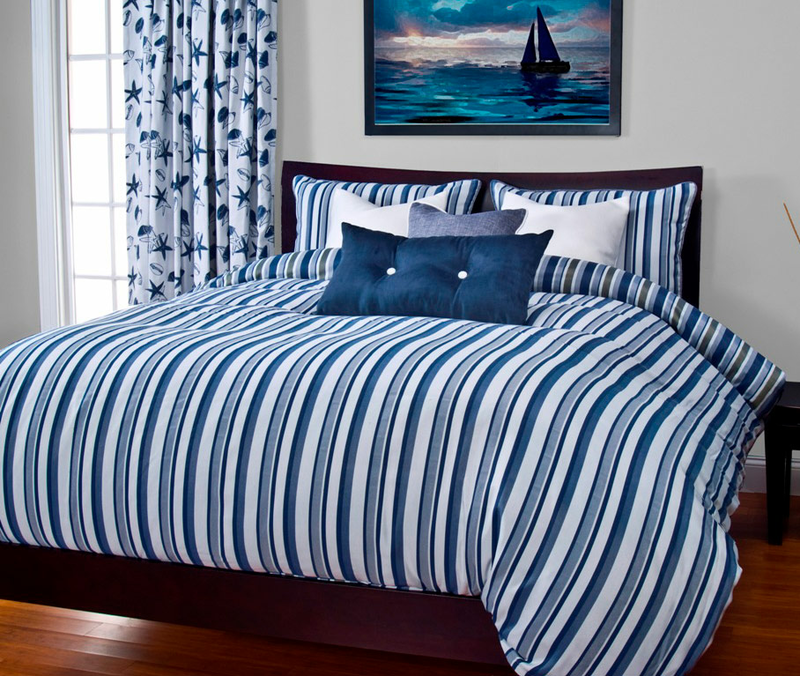 Decorate your guest room in style with the coastal Beach Breeze Stripe Blue Cal King Duvet Set. These coastal bedding sets are embellished with stripes in different shades of blue and white. Ships from the manufacturer. Allow 1 week. Cannot express ship. For many more options, we ask you to take the time to look at our extensive variety of coastal bed sets at Bella Coastal Decor now.